When we speak about innovation and development of the urban areas, the idea of a Smart City is a a well known concept. In the strategic planning process of a Smart City, the communication aspect plays an important role. In order to deliver a message, it is important to rely on innovative means, and this is were a Digital Signage comes into play. 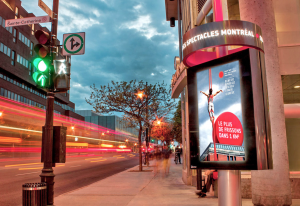 A Digital Signage represents a “window” through which it is possible to spread / exchange messages and information in an interactive way, and there are already creative and endless solutions on the market, like outdoor totems, mirror screens, micro screens, and so on. According to the Markets and Markets analysts, by 2020 the Digital Signage market will experience a growth of 8.18% / year, which translates into a whopping 23.76 billion dollars. From hospitality to retail, there are several sectors that will benefit from this growth. However, it is essential to consult professionals who are not only able to assist you in choosing the hardware, but above all are able to support you in the creation of a smart content (Content Management System), a key element for a good digital communication strategy. Are you interested in receiving more informations about Digital Signage? Consult us for personalized advice, we will be happy to support you both technically and creatively with our team of specialists.